How can I enable Intel® Virtualization Technology (Intel® VT) on my system? 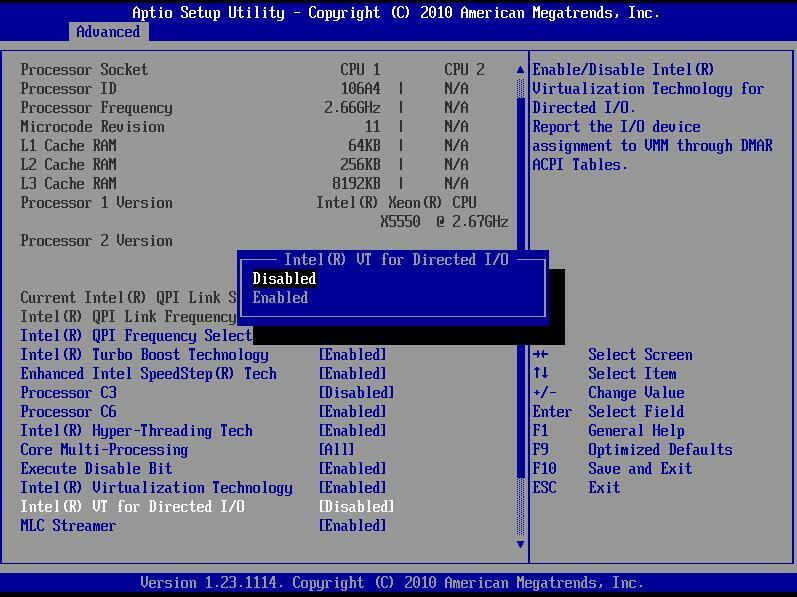 You can enable or disable the Intel® Virtualization Technology in the BIOS setup. The default behavior is disabled. To change the settings, follow these steps. 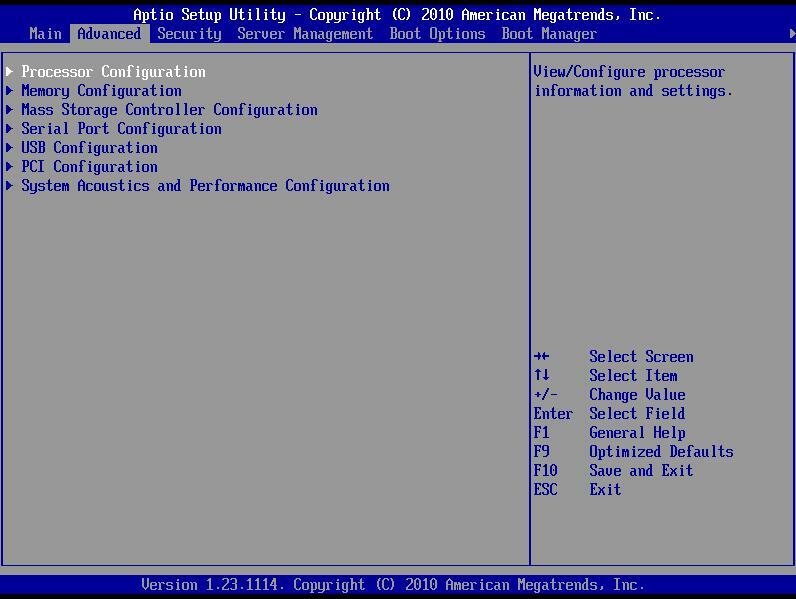 Access the system BIOS by pressing <F2> during the system power-on self test (POST). Click Advanced > Processor Configuration. Select Intel® VT for Directed I/O and change to Enabled. Do an AC power cycle. Note Any time the setup options are changed to either enabled or disabled, an AC power cycle must be done for the changes to take effect. A third-party virtual machine manager (VMM) may also be required. The Technical Product Specification document has more information. Click your product name below This applies to: to see the documentation and home page for your product.